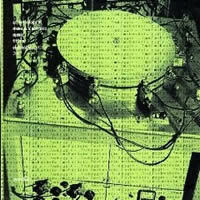 “An Anthology of Noise & Electronic Music.” Var. Composers. Volume 1, Sub Rosa SR190 (2CDs); Volume 2, Sub Rosa SR200 (2CDs); Volume 3, Sub Rosa SR220 (2CDs); Volume 4, Sub Rosa SR250 (2CDs); Volume 5, Sub Rosa SR270 (2CDs) (http://www.subrosa.net/). Distributed in the US by Forced Exposure (http://www.forcedexposure.com/). I admit to a preference for the older stuff. I find the kids with their noises and drum beats largely incomprehensible. Vol. 1 offers ancients Luigi and Antonio Russolo, classics from Schaeffer, Varèse, Xenakis, Cage and Pousser, and more recent stuff from Nam June Paik, Sonic Youth, Einstürzende Neubauten, dj Spooky, Ryoji Ikeda, et al. Older names (works completed before 2000) in Vol. 2 include Percy Grainger, Ussachevsky, Ferrari, Dockstader and Subotnick, and on the third, Parmegiani, Mimaroglu, Chion, Rabl, and the obscure Rune Lindblad. Sampling Vol. 3’s first disc, I can admire the finesse of Zbigniew Karkowski, Merzbow and Francisco Lopez, but can’t see myself replaying their cuts. I mention them only because I’ve heard their wares elsewhere and don’t understand what the fuss is about. Ligeti’s scarce Pièce électronique #3 (1958) appears on Vol. 4, alongside other representatives of the older generations: Jean-Claude Risset’s Mutations (1969), Alvin Lucier’s Still and moving lines of silence in families of hyperbolas (1972-74), and G.M. Koenig’s Funktion Grau (1969). The oldest piece introduces a forgotten pioneer, Halim el-Dabh, represented with his 1944 Wire Recorder Piece. The set’s other rarities include a mellow realization of Reich’s 1968 Pendulum Music, a strange collage from William S. Burroughs, and the Oraison movement from Messiaen’s 1937 ondes Martenot sextet, Fêtes des belles eaux. The newest item, Maja Ratkje’s Vox, made a strong impression. Others I forgot about even as I listened. Vol. 5 bears a more serious tone, perhaps because most of the works on the first CD are oldies, including François-Bernard Mâche’s Prelude (1959), Richard Maxfield’s Pastoral Symphony (1960), André Boucourechliev’s Texte 2 (1959), Helmut Lachenmann’s Scenario (1965), Alireza Mashayekhi’s Shur (1966) and Claude Ballif’s Mouvements (1962). Among surprises was Charlemagne Palestine’s gritty and unpredictable Seven Organism Study (1968). Most of the second disc of volume 5 consists of work with texts, from Mayakovsky to the present. Highlights include Mauricio Kagel’s astonishing Antithèse (1962) which still sounds fresh, Dajuin Yao’s bright Satisfaction of Oscillation (1997) with its loops and jiggles of Mandarin, and Dub Taylor’s 1972 17-minute Lumière (part 1). As essential as these anthologies are, they won’t please everyone with an interest in this fare. The cluttered graphics make deciphering the notes difficult, but if that encourages folks to listen rather than read, so be it. Perhaps I’m betraying my age when I offer the opinion that some tracks aren’t worth the trouble. Apparently it’s fashionable to test one’s limits. I heard entirely too much ugly sludge. I guess I could go on kvetching yet am pleased on the whole to have experienced this variety in handy, attractive packages. At least I heard stuff I wouldn’t ordinarily explore. And my shopping list has grown: more Mashayekhi on Sub Rosa SR277: “Persian Electronic Music 1966-2006.” Finally and, for me, of greatest importance: These discs make me eager to get back into the studio. 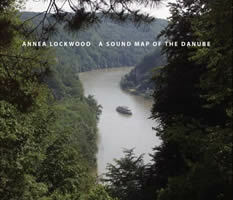 Annea LOCKWOOD: A Sound Map of the Danube (2005, rev. 2008). Lovely Music LCD 2083 (3CDs) (http://www.lovely.com/). Starting in Germany’s Black Forest, the Danube meanders some 1,770 miles through Germany, Austria, Slovakia, Hungary, Croatia, Serbia, Romania, Bulgaria, Moldavia and Ukraine on its way to the Black Sea. This splendidly liquid audio-documentary of the Danube saturates three CDs (65:38 + 53:02 + 48:06). An attractive foldout offers notes and a map detailing all 59 recording locations. Lockwood lets the river speak for itself. Coursing water is the star along with wildlife, tolling bells, and the passing vessels. There are few musical interruptions. Excerpted interviews of boat captains, innkeepers, mayors, and artists now and again overlap the sounds. 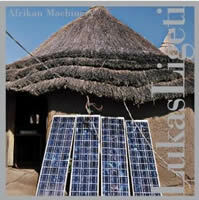 “Afrikan Machinery.” Lukas LIGETI: Balafon Dance System (2002); Entering: Perceiving Masks; Exiting: Perceiving Faces (2005/08); Chimaeric Procession (2005); Great Circle’s Tune I (1996); Great Circle’s Tune II (1996/2005); Nightmare Logic (1996/2008); Stories of the Unknown (1997). Lukas Ligeti (electronic perc, electronics). Tzadik TZ 8054 (1CD) (http://www.tzadik.com/). This hyper-caffeinated release presents Ligeti’s live electronic percussion music. Ligeti’s kit includes laptop and the Marimba Lumina. His sound samples are predominantly African, such as the balafon (West African xylophone) referenced in the first track’s title. Most of the pieces involve fast, complex rhythmic patterns heaped into daunting layer cakes of percussive frenzy. Tunings will frequently change midstream. Inventive and catchy, it would definitely impress to see Ligeti perform these live. I’m trying hard not to make the obvious comparisons with his father’s piano Études. It’s nevertheless evident that both composers have an extraordinary ability to absorb the world’s music. 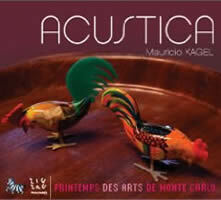 Mauricio KAGEL: Acustica (1968-1970). Gereon Bründt, Björn Kiehne, Gervin Kothen, Alfred Pollmann, Pit Therre (experimental sound-producers), Mauricio Kagel (tapes). 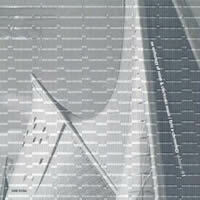 Zig Zag Territoires ZZT080403 (1CD) (http://www.outhere-music.com/en/labels/zig-zag-territoires). Distributed in the US by Allegro-Music (http://www.allegro-music.com/). Here we have two fresh realizations of Kagel’s gritty masterpiece recorded in 2007. It doesn’t get any better than this conflagration of bizarre instruments and tapes. Like a nightmare, this quintessential Kagel rips through the listener with devastating force. The predominantly harsh sounds starkly contrast the booklet’s many photos of strange instruments: a castanet keyboard, a compressed-air cylinder to be attached to different sized tubes, records on a turntable played with cans or cardboard, balloons, metal tubes played with a blowtorch, pebbles dropped into a bucket of water, etc. The reproduced score snippets are beautiful in their own right. Kagel took part in these realizations, controlling the tapes’ playback. There really should be a DVD of this. 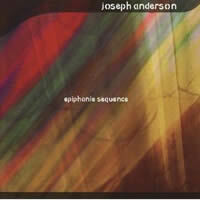 “Epiphanie Sequence.” Joseph ANDERSON: Kyai Pranaja (1998); Mpingo (2003); Pacific Slope (2002). Matt Ingalls (bclar). 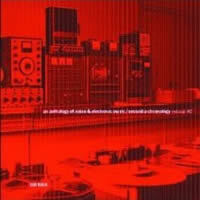 Sargasso SCD28056 (1CD) (http://www.sargasso.com/). Kyai Pranaja employs the sounds made while setting up a gamelan. We hear raw material alone and subjected to virtuosic manipulation. Contrasts alternate between seamless and abrupt. In Mpingo we hear the composer and Ingalls (both clarinetists) working through a piece. (Ingalls is also the powerhouse behind the Csound Macintosh applications.) What we hear couldn’t possibly be played live. (Or could it?) As a guess, we’re to take as a joke the voices on the tape appearing to behave as if it can. The huge Pacific Slope offers some of the most luscious undulating bells and waves I’ve heard in quite some time. 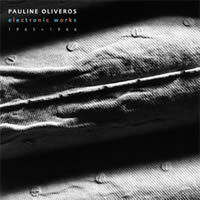 Definitely one of the best electroacoustic items to cross my threshold in recent years. 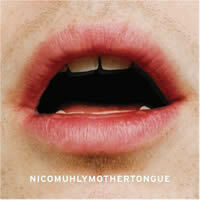 “Mothertongue.” Nico MUHLY: Mothertongue (2008); Wonders (2008); The Only Tune (2008). Abigail Fischer (msop), Matthías Nardeau (ob), Monika Abendroth (hp), Nico Muhly (keyboards), Una Sveinbjarnardóttir, Zbigniew Dubik, Andres Kleina (vlns), Þórarinn Már Baldursson (vla), Valgeir Sigurðsson (e-bass), Helgi Hrafn Jónsson (voice, trb), Árni Heimir Ingólfsson (hpsi), Sam Amidon (voice, banjo, guit), Nadia Sirota (vla), Ben Frost (bass programming). Brassland HWY-018 (1CD) (http://www.brassland.org/). This release suggests an easily distracted traveler unloading pockets post-voyage. It’s not evident why instrumentals wafting across gentle background tapes are assembled in quite the way they are. The effect suggests a studied casualness, a disdain for finesse, despite the high degree of technical polish (mixing, recording). 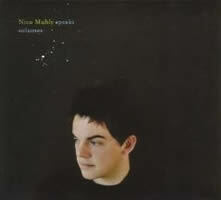 These three multi-movement works blur together — essentially songs that complement Muhly’s non-confrontational stance. Yet I detect a lurking insidiousness. The Only Tune works its irony between a gentle folksong and its grisly words — all is not as perky and casually profound as it seems. Transient outbursts of instrumental color recall the happy-go-lucky grimace of big Reich ensembles. Maybe Muhly is a country cousin of Bang on a Can regulars (Lang, Wolfe, Gordon). The multi-layered, oddly accented vocals recall Robert Ashley, Björk (who receives a specific thanks) and Sting abusing Dowland. Muhly seems to have found a niche. Folks whose opinions I respect have been dropping his name, and he’s been draped into concert series to which I would gladly subscribe. 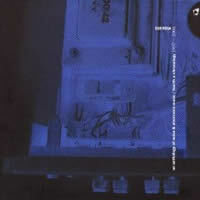 A 2007 release, Speaks Volumes (Bedroom Community HVALUR1CD, http://www.bedroomcommunity.net/), offers rapturously detailed notes leaving nothing to the imagination. Their forthrightness abrades any potential for beauty or magic. The producer’s role (Valgeir Sigurðsson again) implies that nothing has been left to chance. The better part of the disc’s seven trinkets, some small ensembles, some solo piano, were multi-tracked. I found it difficult to warm up to any of these rudderless enchantments. Pauline OLIVEROS: I of IV (1966); Big mother is watching you (1966); Bye bye butterfly (1965). Paradigm Disks PD 04 (1CD) (http://www.stalk.net/paradigm/). Here are three analog pieces that have endured. I of IV captures real-time tape manipulation within the University of Toronto Electronic Music Studio. The sounds are predominantly sci-fi sine waves with little noise. 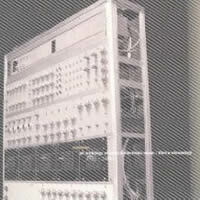 Big mother also documents real-time studio manipulation of tapes, amplifiers, mixers and wave generators. Perhaps because the music includes judicious applications of pink noise and clicks, it opens onto a larger landscape, seeming more like a predecessor to late-20th-century noise-based compositions. Bye bye butterfly uses the same real-time studio techniques with more evident delay and echoes, and at eight minutes is the shortest work, the other pieces hovering at around a half-hour. There’s also some traditional music (it would have to be Puccini) enriching the mix. 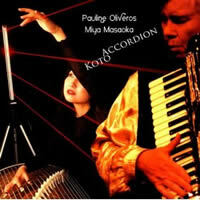 Two recent releases demonstrating Oliveros’ prowess as a performer are Accordion Koto (Deep Listening DL 36-2007, http://www.deeplistening.org) and Voice Coil (Deep Listening DL 39-2008). Accordion (Oliveros) and koto (Miya Masoaka) fuse into a strange, bewildering blend in four live improvisations with electronics. While the combination may seem odd, the koto can sound like a guitar, with the accordion suggesting a shô. 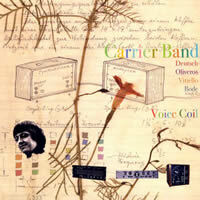 Voice Coil’s tracks mix and mash older live performances (Oliveros, Peer Bode, Andrew Deutsch, Stephen Vitiello) with new overdubs. 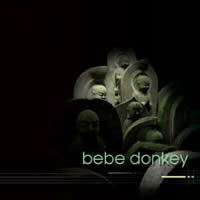 “Bebe Donkey.” Antoine BERTHIAUME and MaryClare BRZYTWA: Var. comps. Antoine Berthiaume (guitar and effects), MaryClare Brzytwa (flute, laptop, electronics). Ambiances Magnétiques AM 163 CD (1CD) (http://www.ambiancesmagnetiques.com/). Distributed by DAME (http://www.actuellecd.com/). 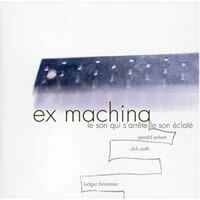 “ex machina.” Gerald ECKERT: Aux main de l’espace (1992-93). Dirk REITH: Nahe zu fern (1987). Ludger BRÜMMER: La cloche sans vallées (1993). Cybele 960.101 (http://www.cybele.de/). Distributed in the US by Qualiton (http://www.qualiton.com/). Three pieces, not quite antiques, come from a period when electroacoustic music attempted to chart dreams and alternate universes. Each work employs filtering and controlled noise tempered by delay and reverb, most of this material born inside the electronic studio. Eckert’s 14:52 Aux main de l’espace balances turbulence and calm within the same taut fabric. Reith’s more episodic Nahe zu fern toys with percussive interpolations and smooth curves, taking a bittersweet close with a forlorn twitter. Both Eckert and Brümmer studied with Reith. Brümmer’s effort, just short of 22 minutes, attempts a symphonic scale with a similar construction set. The title refers to Ravel’s La vallée des cloches, appearing here in hidden as well as overt transformations.